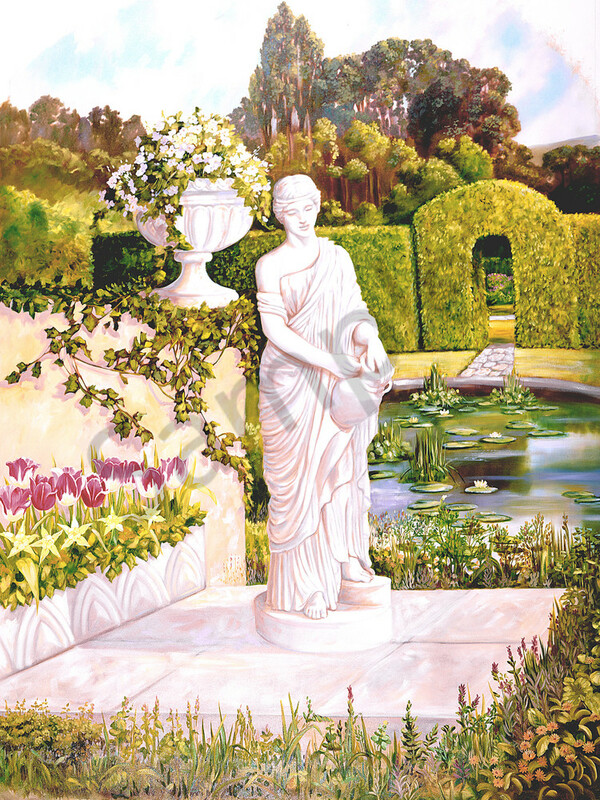 English Garden1 was a 30" X 40" original oil painting fantasy that was part of a triptych panels 1, 2, and 3, this was the left panel. They were hung as a set in niches. They are only available now as prints in the sizes shown here. (Select "Wall Preview" below for a room type, size and wall color to better view the art). English Garden 1 was imagined at the time that I was in the English countryside, on a large estate in a garden folly, such as one might find in the 18th century. (Select "Wall Preview" below for a room type, size and wall color to better view the art).